Changes in the territory of Lithuania from the 13th to 15th century. 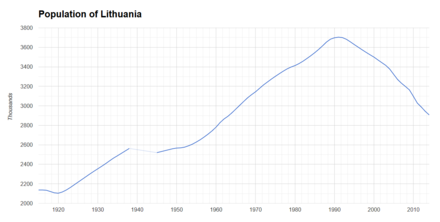 At its peak, Lithuania was the largest state in Europe. Lithuania's strength was its toleration of various cultures and religions. In 1655, after the extinguishing battle, for the first time in history Lithuanian capital Vilnius was taken by the foreign army. Russian army looted the city, splendid churches, manors. 8000-10000 citizens were killed; the city burned 17 days. Those who returned after the catastrophe didn't recognise the city. 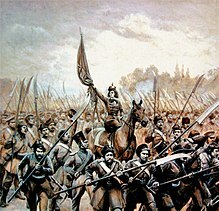 Russian occupation of Grand Duchy of Lithuania lasted up to 1661. Many artefacts and cultural heritage were either lost or looted, significant parts of the state archive – Lithuanian Metrica, collected since 13th century, were lost and the rest is moved out of the country. During the Northern Wars (1655–1661), the Lithuanian territory and economy were devastated by the Swedish army. Almost all territory of Grand Duchy of Lithuania was occupied by Swedish and Russian armies. This period is known as Tvanas (The Deluge). On 11 March 1990, the Supreme Council announced the restoration of Lithuania's independence. After refusal to revocate the Act, the Soviet forces stormed the Seimas Palace, while Lithuanians defended their democratically elected Council. The Act was the first such declaration in the USSR and later served as a model, inspiration to other Soviet republics, and strongly influenced the dissolution of the USSR. Romuva sanctuary in Sambia, where Krivis, the chief priest or "pagan pope", lived and ruled over the religion of all the Balts. ^ a b c "Ethnicity, mother tongue and religion". Official Statistics Portal. Statistics Lithuania. 15 March 2013. Retrieved 15 December 2018. ^ Veser, Ernst (23 September 1997). "Semi-Presidentialism-Duverger's Concept — A New Political System Model" (PDF) (in English and Chinese). Department of Education, School of Education, University of Cologne: 39–60. Retrieved 23 August 2017. Duhamel has developed the approach further: He stresses that the French construction does not correspond to either parliamentary or the presidential form of government, and then develops the distinction of 'système politique' and 'régime constitutionnel'. While the former comprises the exercise of power that results from the dominant institutional practice, the latter is the totality of the rules for the dominant institutional practice of the power. In this way, France appears as 'presidentialist system' endowed with a 'semi-presidential regime' (1983: 587). By this standard he recognizes Duverger's pléiade as semi-presidential regimes, as well as Poland, Romania, Bulgaria and Lithuania (1993: 87). ^ Shugart, Matthew Søberg (September 2005). "Semi-Presidential Systems: Dual Executive and Mixed Authority Patterns" (PDF). Graduate School of International Relations and Pacific Studies. United States: University of California, San Diego. Archived from the original (PDF) on 19 August 2008. Retrieved 23 August 2017. ^ Shugart, Matthew Søberg (December 2005). "Semi-Presidential Systems: Dual Executive And Mixed Authority Patterns" (PDF). French Politics. Palgrave Macmillan Journals. 3 (3): 323–351. doi:10.1057/palgrave.fp.8200087. Retrieved 23 August 2017. A pattern similar to the French case of compatible majorities alternating with periods of cohabitation emerged in Lithuania, where Talat-Kelpsa (2001) notes that the ability of the Lithuanian president to influence government formation and policy declined abruptly when he lost the sympathetic majority in parliament. ^ a b c d "Lithuania". International Monetary Fund. ^ "2017 Human Development Report". United Nations Development Programme. 2015. Retrieved 24 March 2017. ^ "The Baltic States: Why the United States Must Strengthen Security Cooperation". The Heritage Foundation. The Heritage Foundation. Retrieved 21 January 2019. ^ "Lithuania breaks away from the Soviet Union". Theguardian.com. London: Guardian Media Group. 12 March 1990. Retrieved 7 June 2018. Lithuania last night became the first republic to break away from the Soviet Union, by proclaiming the restoration of its pre-war independence. The newly-elected parliament, 'reflecting the people's will,' decreed the restoration of 'the sovereign rights of the Lithuanian state, infringed by alien forces in 1940,' and declared that from that moment Lithuania was again an independent state. ^ Dubonis, Artūras. "Leičiai". Ldkistorija.lt. Retrieved 29 January 2018. ^ Patackas, Algirdas. "Lietuva, Lieta, Leitis, arba ką reiškia žodis "Lietuva"". Lrytas.lt (in Lithuanian). Retrieved 11 August 2009. ^ "History of Lithuania: Introduction". TrueLithuania.com. Retrieved 26 January 2018. ^ "Tautinė ir religinė įvairovė / XVI vidurio – XVII a." LDKistorija.lt. Retrieved 26 January 2018. ^ Jonas Zinkus; et al., eds. (1987). "Saulės mūšis". Tarybų Lietuvos enciklopedija (in Lithuanian). 3. Vilnius: Vyriausioji enciklopedijų redakcija. p. 633. ^ "The Battle of Saule". VisitLithuania.net. Retrieved 28 December 2017. ^ "The Legend of the Founding of Vilnius – Gediminas Dream". ironwolf.lt. Retrieved 19 February 2018. ^ Baranauskas, Tomas (23 June 2012). "Mėlynųjų Vandenų mūšis: atminties sugrįžimas po 650 metų". 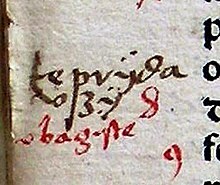 Veidas (in Lithuanian) (25): 30–32. ISSN 1392-5156. ^ "Lucko suvažiavimas". Partizanai.org (in Lithuanian). Retrieved 22 December 2017. ^ "Kunigaikštis Konstantinas Ostrogiškis ir Oršos mūšis 1514 metais". Partizanai.org (in Lithuanian). Retrieved 16 January 2018. ^ "Lietuvos aukso amžius – vienas sprendimas galėjo pakeisti visą istoriją". DELFI. Retrieved 24 February 2018. ^ "The Roads to Independence". Lithuania in the World. 16 (2). 2008. ISSN 1392-0901. Archived from the original on 12 May 2011. ^ "The Constitution of May 3, 1791" (PDF). LRS.lt. Retrieved 22 December 2017. ^ "1791 m. gegužės 3 d. Konstitucija" (PDF). LRS.lt. Retrieved 22 December 2017. ^ "History of the 3 May 1791 Constitution". pmc.usc.edu. Archived from the original on 29 November 2017. Retrieved 22 December 2017. ^ "Kauno tvirtovės istorija" (in Lithuanian). 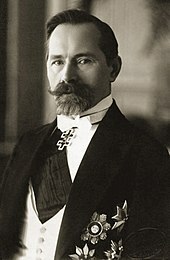 Gintaras Česonis. 2004. Archived from the original on 10 May 2011. Retrieved 12 June 2008. ^ "The Great war in Lithuania 1914 -1918". Draugas.org. ^ "The Baltic States from 1914 to 1923 : The First World War and the Wars of Independence" (PDF). Bdcol.ee. Retrieved 18 October 2018. ^ "Pirmosios Lietuvos nepriklausomybės kovos". Partizanai.org (in Lithuanian). Retrieved 23 December 2017. ^ Lesčius, Vytautas. "Lietuvos kariuomenė nepriklausomybės kovose 1918–1920. Monografija" (PDF). LKA.lt. Retrieved 23 December 2017. ^ Iškauskas, Česlovas. "Č.Iškauskas. Vidurio Lietuva: lenkų okupacijos aidai..." DELFI. Retrieved 8 January 2012. ^ "VMU Now and Before". Vytautas Magnus University. 10 April 2012. Archived from the original on 24 December 2017. Retrieved 23 December 2017. ^ "III Seimas (1926–1927 m.)". LRS.lt. Retrieved 23 December 2017. ^ "Karinis perversmas Lietuvoje: kas ir kodėl nuvertė valstiečių valdžią?". DELFI. Retrieved 17 December 2013. ^ Katinas, Petras. "Perversmas ar išgelbėjimas?". xxiamzius.lt. Retrieved 23 December 2017. ^ "Kodėl Kaunas buvo vadinamas mažuoju Paryžiumi?". lrytas.lt (in Lithuanian). Retrieved 3 January 2013. ^ "What Happened During the Great Depression?". Thebalance.com. ^ "Trade Unions in Lithuania – A Brief History – Sergejus Glovackas (2009) (Global Labour Institute – English)". Globallabour.info. ^ Vareikis, Vygantas. "Politiniai ir kariniai Klaipėdos krašto praradimo aspektai 1938–1939 metais" (PDF). Klaipėda University. Retrieved 23 December 2017. ^ Liekis, Šarūnas (2010). 1939: The Year that Changed Everything in Lithuania's History. New York: Rodopi. pp. 119–122. ISBN 978-9042027626. ^ Knezys, Stasys. "Lietuvos kariuomenės naikinimas (1940 m. birželio 15 d.–1941 m.)". Genocid.lt. Retrieved 14 December 2017. ^ Gurjanovas, Aleksandras (1997). "Gyventojų trėmimo į SSRS gilumą mastas (1941 m. gegužės–birželio mėn.)". Genocidas Ir Resistencija (in Lithuanian). 2 (2). ISSN 1392-3463. ^ Michalski, Czesław. "Ponary - Golgota Wileńszczyzny (Ponary — the Golgotha of Wilno)" (in Polish). Konspekt nº 5, Winter 2000–01, Academy of Pedagogy in Kraków. Archived from the original on 24 December 2008. ^ "Arūnas Bubnys. Lietuvių saugumo policija ir holokaustas (1941–1944) | Lithuanian Security Police and the Holocaust (1941–1944)". Genocid.lt. ^ Sakaitė, Viktorija. "Žydų gelbėjimas". genocid.lt. Retrieved 25 July 2018. ^ "Names of Righteous by Country". 2017. ^ "Lithuania: Back to the Future". Travel-earth.com. 1 May 2004. Archived from the original on 23 August 2006. Retrieved 5 June 2011. ^ Michalski, Czesław. "Ponary – Golgota Wileńszczyzny (Ponary — the Golgotha of Wilno)" (in Polish). Konspekt nº 5, Winter 2000–01, Academy of Pedagogy in Kraków. Archived from the original on 24 December 2008. ^ "US Department of State Bureau of Public Affairs". State.gov. August 2006. Retrieved 25 April 2010. ^ Juozas Daumantas. "Fighters for Freedom. Lithuanian partisans versus the U.S.S.R." Retrieved 13 May 2018. ^ "The Partisan Movement in Postwar Lithuania – V. Stanley Vardys". Lituanus.org. ^ Beniušis, Vaidotas. "EŽTT: sovietų represijos prieš Lietuvos partizanus gali būti laikomos genocidu". DELFI. Retrieved 12 March 2019. ^ "Romas Kalanta" (PDF). genocid.lt. Retrieved 19 February 2018. 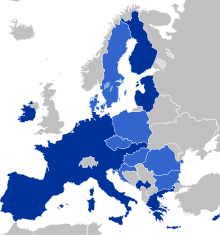 ^ "The Demise of the Lithuanian Helsinki Group". Lituanus.org. ^ "Lithuania's Independence Movement – Lokashakti Encyclopedia". Lokashakti.org. ^ "Landsbergis has always been Lithuania's first head-of-state". Baltictimes.com. Retrieved 21 December 2017. ^ "Sąjūdžio mitingas 1988 – 08 – 23 Vingio parke". 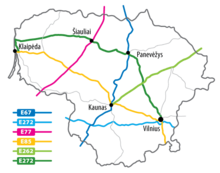 LRT (in Lithuanian). Retrieved 12 May 2018. ^ Martha Brill Olcott (1990). "The Lithuanian Crisis". www.foreignaffairs.com. Retrieved 18 November 2018. For over two years Lithuania has been moving toward reclaiming its independence. This drive reached a crescendo on March 11, 1990, when the Supreme Soviet of Lithuania declared the republic no longer bound by Soviet law. The act reasserted the independence Lithuania had declared more than seventy years before, a declaration unilaterally annulled by the U.S.S.R. in 1940 when it annexed Lithuania as the result of a pact between Stalin and Hitler. ^ "10 svarbiausių 1991–ųjų sausio įvykių, kuriuos privalote žinoti". 15min.lt. Retrieved 13 January 2016. ^ "On This Day 13 January 1991: Bloodshed at Lithuanian TV station". BBC News. 13 January 1991. Retrieved 13 September 2011. ^ Bill Keller (14 January 1991). "Soviet crackdown; Soviet loyalists in charge after attack in Lithuania; 13 dead; curfew is imposed". The New York Times. Retrieved 18 December 2009. ^ "Svo fljótt sem verða má". Þjóðviljinn (in Icelandic). 12 February 1991. Retrieved 28 October 2018. ^ "Stjórnmálasamband verði tekið upp svo fljótt sem verða má". Morgunblaðið (in Icelandic). 12 February 1991. Retrieved 28 October 2018. ^ "Viðurkenning á sjálfstæði í fullu gildi". 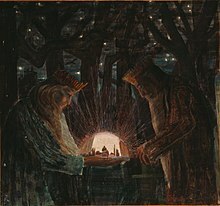 Dagblaðið Vísir (in Icelandic). 12 February 1991. Retrieved 28 October 2018. ^ "Memorial. Medininkai – Cold war sites". coldwarsites.net. ^ Richard J. Krickus (June 1997). "Democratization in Lithuania". In K. Dawisha and B. Parrott. The Consolidation of Democracy in East-Central Europe. p. 344. ISBN 978-0-521-59938-2. ^ Jan S. Krogh. "Other Places of Interest: Central Europe". 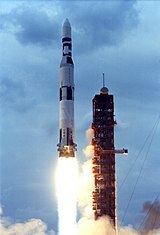 Retrieved 31 December 2011. ^ "Assessment of Climate Change for the Baltic Sea Basin – The BACC Project – 22–23 May 2006, Göteborg, Sweden" (PDF). Retrieved 25 April 2010. ^ G. Sakalauskiene and G. Ignatavicius (2003). "Research Note Effect of drought and fires on the quality of water in Lithuanian rivers". Hydrology and Earth System Sciences. 7 (3): 423–427. Bibcode:2003HESS....7..423S. doi:10.5194/hess-7-423-2003. ^ "Ekstremalūs reiškiniai (Extreme Phenomena)". Meteo.lt. Archived from the original on 1 April 2015. Retrieved 13 April 2015. ^ "Rekordiškai šilta Rugsėjo Pirmoji (Warmest 1 September on record)". Meteo.lt. 2 September 2015. Archived from the original on 7 September 2015. Retrieved 7 September 2015. ^ "Weatherbase: Historical Weather for Lithuania". Weatherbase.com. Retrieved 22 February 2013. ^ "Nida and The Curonian Spit, The Insider's Guide to Visiting". MapTrotting. 23 September 2016. Retrieved 3 January 2019. ^ "Aplinkos apsaugos įstatymas". e-tar.lt. Retrieved 27 April 2018. ^ "EU climate action". European Commission. 23 November 2016. Retrieved 27 April 2018. ^ "Europa suskubo paskui Lietuvą: kuo skiriasi šalių užstato sistemos?". 15min.lt. Retrieved 9 May 2018. ^ a b "Gamta". lithuania.travel (in Lithuanian). Archived from the original on 22 March 2018. Retrieved 7 December 2018. ^ "Lietuvos nacionaliniai parkai". aplinka.lt (in Lithuanian). Retrieved 27 April 2018. ^ "Regioniniai parkai". vstt.lt. Retrieved 27 April 2018. ^ "Apie gamtos paveldo objektus". vstt.lt. Retrieved 27 April 2018. ^ "Climate Change Performance Index 2018". Climate-change-performance-index.org. Retrieved 14 May 2018. ^ Klimka, Libertas. "Kodėl gandras – nacionalinis paukštis?". LRT (in Lithuanian). Retrieved 26 March 2015. ^ "Storks". Lonelyplanet.com. Retrieved 5 May 2018. ^ a b "Lithuania – Biodiversity Facts". cbd.int. Retrieved 24 February 2018. ^ "Fauna of Lithuania". TrueLithuania.com. Retrieved 24 February 2018. ^ "Biography of Dr: Vaira Vike-Freiberga". Latvijas Valsts prezidenta kanceleja. 17 April 2007. Archived from the original on 7 May 2016. Retrieved 28 April 2016. ^ a b "Seimo rinkimai". lrs.lt. Retrieved 14 April 2018. ^ Saarts, Tõnis. "Comparative Party System Analysis in Central and Eastern Europe: the Case of the Baltic States" (PDF). Studies of Transition States and Societies. Archived from the original (PDF) on 19 October 2016. Retrieved 31 July 2015. ^ "Lietuvos Respublikos Seimo rinkimų įstatymas". e-tar.lt. Retrieved 14 April 2018. ^ "2016 m. Seimo rinkimų rezultatai". vrk.lt (in Lithuanian). Retrieved 14 April 2018. ^ "Constitution of the Republic of Lithuania". 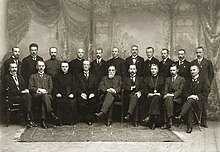 The Seimas of the Republic of Lithuania. Retrieved 31 July 2015. ^ "Lietuvos Respublikos Prezidento rinkimų įstatymas". e-tar.lt. Retrieved 14 April 2018. ^ "2014 m. gegužės 11 d. Respublikos Prezidento rinkimai". vrk.lt (in Lithuanian). Retrieved 14 April 2018. ^ "VRK priėmė svarbius sprendimus artėjančių savivaldybių tarybų rinkimų klausimais" [CEC took important decisions regarding the upcoming election to municipal councils] (in Lithuanian). Central Electoral Commission. 23 September 2014. Archived from the original on 12 February 2015. Retrieved 31 July 2015. ^ "Lietuvos Respublikos savivaldybių tarybų rinkimų įstatymas". e-tar.lt. Retrieved 14 April 2018. ^ "2015 m. kovo 1 d. Lietuvos Respublikos savivaldybių tarybų rinkimai". vrk.lt (in Lithuanian). Retrieved 14 April 2018. ^ "European Parliament 2014". European Parliament Liaison Office with U.S. Congress. Retrieved 31 July 2015. ^ "Lietuvos Respublikos rinkimų į Europos Parlamentą įstatymas". e-tar.lt. Retrieved 14 April 2018. ^ "2014 m. rinkimai į Europos Parlamentą". vrk.lt (in Lithuanian). Retrieved 14 April 2018. ^ "Lietuvos Konstitucija". lrs.lt. Retrieved 17 February 2018. 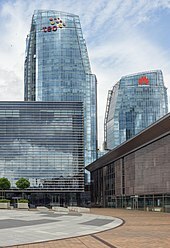 ^ "Nuo 2014 m. sausio 1 d. teisės aktai oficialiai skelbiami Teisės aktų registre". 3.lrs.lt (in Lithuanian). Retrieved 24 February 2018. ^ "Nacionalinės teisės aktų derinimo su Europos Sąjungos teise metodiniai nurodymai". etd.lt. Retrieved 22 October 2004. ^ "LRT dokumentikos ciklas "Nematoma Lietuvos istorija" – apie valstybės pergalę prieš mafiją". LRT (in Lithuanian). Retrieved 5 September 2016. ^ "Lietuvos policija". policija.lrv.lt (in Lithuanian). Retrieved 31 March 2018. ^ "Užregistruota ir ištirta nusikalstamų veikų (2017 / Sausis – Gruodis)". Ird.lt (in Lithuanian). Retrieved 31 March 2018. ^ Lithuania's EU Anti-Corruption Report (PDF). Brussels: European Commission. 2014. pp. 2–3. ^ "Korupcija Lietuvoje: prarandame milijonus, jei ne milijardus". kauno.diena.lt. Retrieved 7 February 2016. ^ "Siūlymas grąžinti mirties bausmę pripažintas prieštaraujančiu Konstitucijai". DELFI.lt. Retrieved 9 October 2013. ^ "Kuo mažiau pasitikėjimo, tuo pilnesni kalėjimai: Lietuva kalinių skaičiumi pirmauja". LZINIOS.lt. Retrieved 8 August 2017. ^ a b c d "BENDRASIS VIDAUS PRODUKTAS PAGAL APSKRITIS 2017 M." (in Lithuanian). Statistics Lithuania. 25 November 2016. Retrieved 22 November 2018. ^ a b "Lithuania's accession to the OECD". OECD. 5 July 2016. Retrieved 6 July 2016. ^ "Ministry of Foreign Affairs: List of countries with which Lithuania has established diplomatic relations". Urm.lt. Retrieved 2 January 2011. ^ "Home - Baltic Development Forum". Baltic Development Forum. Retrieved 18 October 2018. ^ "Valdo Adamkaus bulvaras Gruzijoje". True Lithuania (in Lithuanian). Retrieved 16 January 2018. ^ "Premjeras: Lietuvą ir Gruziją sieja daugiau nei paprasta draugystė". MinistrasPirmininkas.LRV.lt (in Lithuanian). Retrieved 30 March 2017. ^ "L. Linkevičius: esame pasirengę remti Gruziją ruošiantis ES Rytų partnerystės viršūnių susitikimui". ua.mfa.lt (in Lithuanian). Retrieved 8 February 2017. ^ "V.Adamkus išskrenda į rusų okupuojamą Gruziją". 15min.lt. Retrieved 11 August 2008. ^ "V.Adamkus: mes esame su Gruzija". DELFI. Retrieved 12 August 2008. ^ "Renkamos aukos nukentėjusiems nuo karo Gruzijoje". DELFI. Retrieved 11 August 2008. ^ "Bažnyčia ragina nelikti abejingiems karui Gruzijoje". DELFI. Retrieved 11 August 2008.